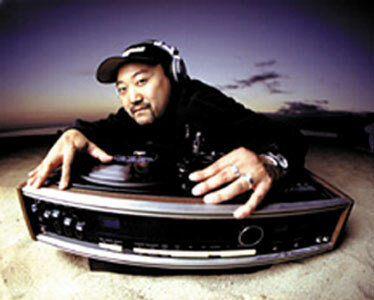 Simply Jeff has been called the "pioneer of the funky breaks / west coast house sound" and is known from the Europe to the US. Throughout his career he has collaborated with the likes of Snoop Doggy Dogg and is currently in the process of working on Afrika Bombaataa's new album. Over in the states he has just released the Moonshine Records compilation "Breakbeat Massive" and is busy working his Phonomental Record label. Q: You've been called the "pioneer of the funky breaks / west coast house sound". Obviously your an influence for a lot of DJ's out there right now - who influenced you growing up and who inspired you to get those first set of decks? A: My mom always loved music and surrounded me with it in so many ways. She also use to dj at special functions in San Francisco back in the day before I was conceived. My Dad was a big record collector and use to always take me record shopping. I was always the kid with the most records on the block. All my friends would always come over and make tapes for themselves at least once a month. I got into djing in High School. Back then, break dancing was getting popular for the first time in the West Coast. Many of my close friends started break dance crews and would ask me to dj at local events where the crews met. Back then it was all about Afrika Bambaata and The Soul Sonic Force, Dr. Dre when he was The World Class Wreckin Crew, he use to scratch so clean! Grandmaster Flash, Uncle Jams Army. The birth of Dj producer, putting records together for the dj! What a concept! It was the new dj explosion since Disco. Only now there was cutting and scratching involved. Combined that with good programming and you have a party. I fell in love with the music and the whole culture that went along with it. I would spend hours in my room practicing until the sun came up. Any dj can tell you how easy that could happen. Eventually, one gig let to the next until I got my first club gig in 1985. I played anything from Depeche Mode, Front 242, Debbie Deb, Expose to Prince. Q: You actually use the internet to push new music forward on your 24 hour streaming Breakbeat show. What's your stance on music and the internet? Is it a way forward? A: I think pushing and receiving music on the internet is the most brilliant thing since radio. Now it's much easier to hear what's going on around the world. Music becomes more assessable thus making the awareness much broader. Q: Throughout your career you've collaborated with artists such as Afrika Bambaataa and Snoop Dogg. How did they come about? I.e. Did they ask you or did you ask them? And who would you like to work with in the future? A: I got hooked with Snoop Dogg through a friend that had connections to do a remix for Andrew Dice Clay. My friend (Davey Dave) wanted me to do the remix with him for Andrew Dice who also had Snoop Dog do some additional vocals. We did the mix, they liked it and the rest is history. I got introduced to Afrika Bambaataa through another close friend (Uberzone), we kept in contact and we also played at a few shows together after that. We clicked pretty well and so one day I got a call from his management asking for tracks for Bam's album. Who can say no to Afrika Bambaataa! We be throwing ideas back and forth from New York to California ever since. He will be coming to California in a couple weeks to lay down the final vocals. I'm very excited to work and learn more from the Godfather of Funk! Q: Breakbeat is seen as quite an underground scene in comparison to other dance genre's such as say Trance or House. Is it the innovation and underground side to it that keep you interested? A: I think what keeps me interested in Breakbeat the most is it's diversity in the beat. I love how the sound can incorporate so many styles and do no wrong. Q: We just recieved the Breakbeat Massive compilation CD on Moonshine. How do you got about selecting tracks for compilation album? Is it a case of pushing new music forward or using known crowd pleasers? When selecting track is it the same process as selecting a set or is there a whole different mindset involved? A: Making compilation cds is much harder than doing a regular dj set in club by far. In a club you can use any track you want to get the crowd going. With compilations you can only use tracks that get cleared by the record labels. If you miss out getting even one track cleared, it could throw the whole mix off and it's back to the drawing board. Q: There are so many projects you're working on at the moment? Record Label, Breakbeat Writer, DJ, Producer. What's in the pipeline for the next few months? A: My main goal at the moment is to promote this cd I worked very hard on and to do more production with as many different artist and side projects as possible. Hopefully one day soon I'll be coming to England to perform and finally hang out with my friends in there hood for a change. Check out my web site (WWW.SIMPLYJEFF.COM) for up to date tour dates!